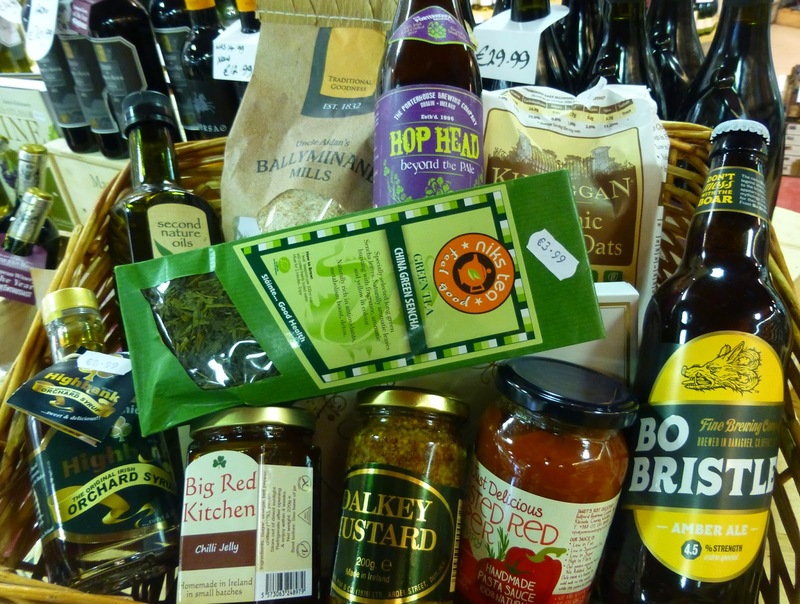 Amazed at the selection of Irish foods now available in Bradley’s, North Main Street, Cork. The customers are obviously enjoying it all and so too is Michael Creedon, a Bradley himself. 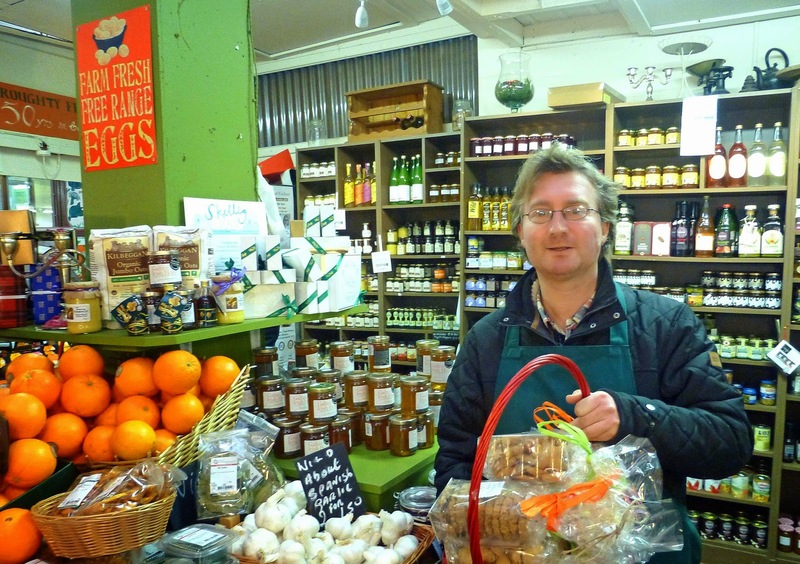 It is turning out to be quite an adventure and Michael loves meeting the small producers and seeing what they have to offer. 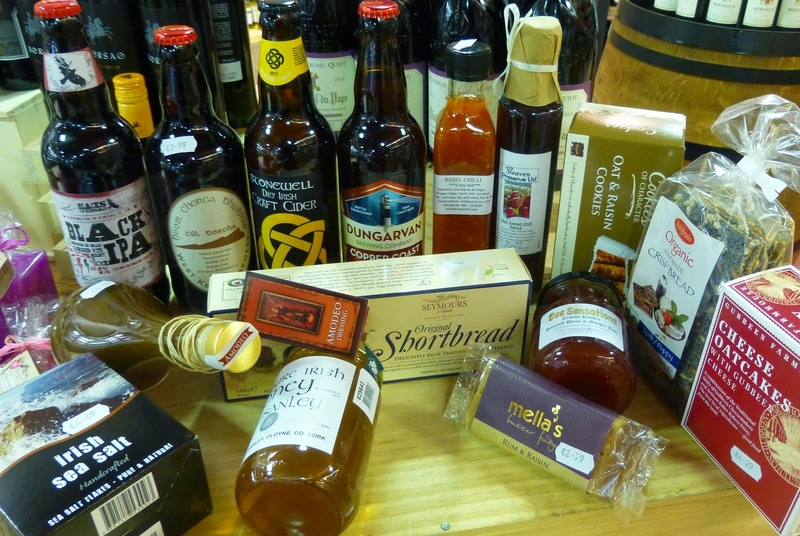 New ones are being added all the time; Wilkie’s Chocolates and the Amodeo Salad Dressing are among the latest arrivals. Bradley’s started out as a dairy in 1850 but, in more recent years, became well known as one of the best drinks specialists in Cork. Wine or Whiskey, Vodka or Gin, Bradleys was and is yer only man. Then along came the craft beer revolution and the small producers soon found they had a friend in Michael and his collection of beers just grew and grew. Now they all talk about the famous “wall of beer”. And just as Michael extended a friendly hand to the local brewers, he was at the same time doing the very same with regard to food producers. “The small producers have time to talk, take the trouble to ring back. The contacts are personal and encouraging.” And the result is that he is well on his way to covering the whole country. And remember, you can shop online. I picked, more or less at random, a few baskets during a recent visit. These photos represent only a small part of the offering of beers and foods (and, by the way, are not meant to be matching suggestions!). In the South selection, you’ll see bigger names such as Gubbeen and Atlantic Sea Salt along with that new Amodeo dressing. 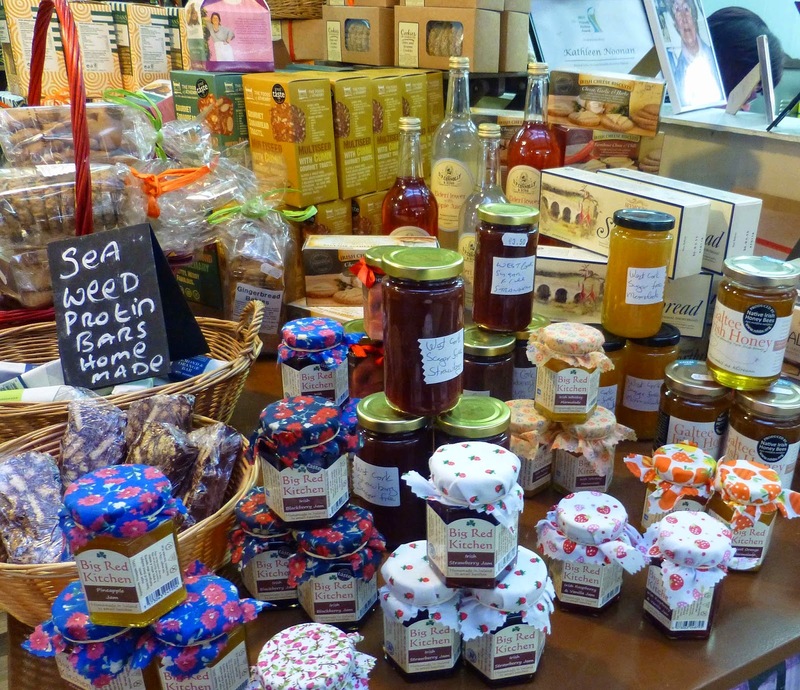 Mella’s Fudge is a personal favourite as is that fabulous Lisanley Honey from East Cork. 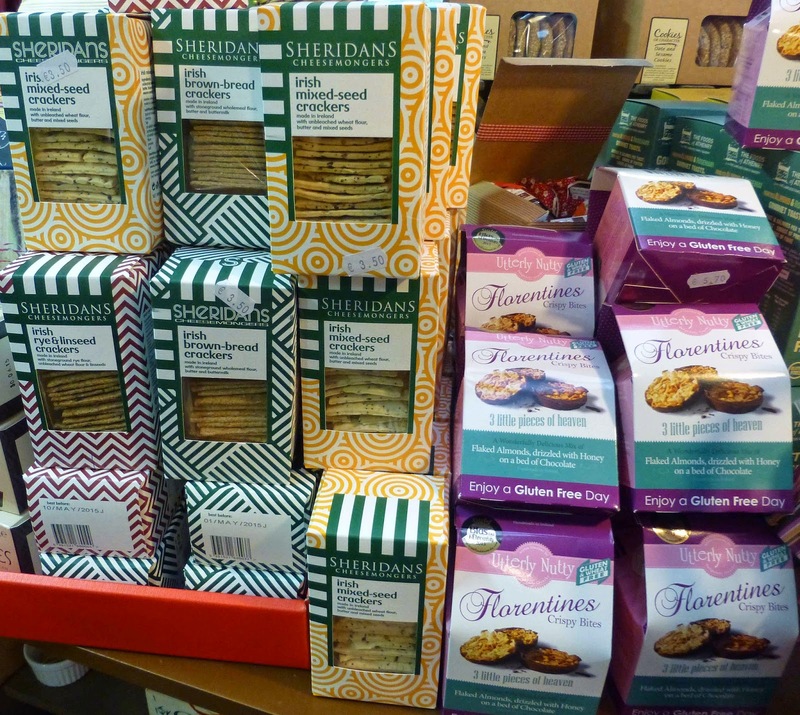 Seymour’s Biscuits, Cookies of Character and Ballybrado’s Crisp Breads are all recommended. And for drinks, you're spoiled for choice and we had room for very few in the shot. Let’s now have a look at that packed basket from the East. Not much room for beer but we did squeeze in a couple from the packed shelves. 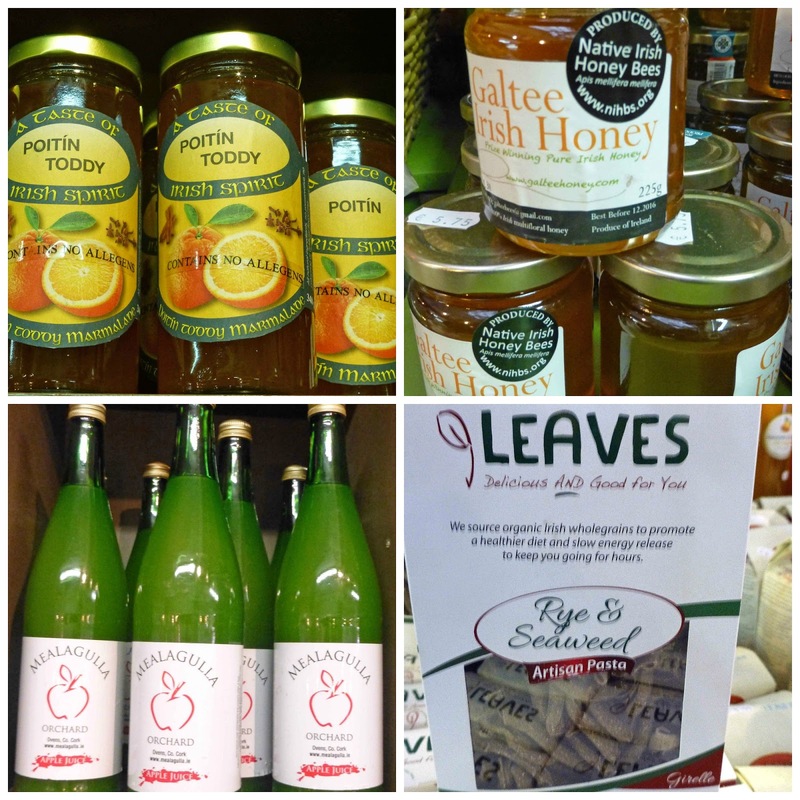 Second Nature's Rapeseed OIl and the versatile and delicious Highbank Orchard Syrup are prominent and then you've got the tasty products of Big Red Kitchen, Dalkey Mustard and Just Delicious. Goodness from the grain by Ballybrado and Ballyminane and, after all that, you might like a cuppa from Niks Teas or maybe one of the beers! 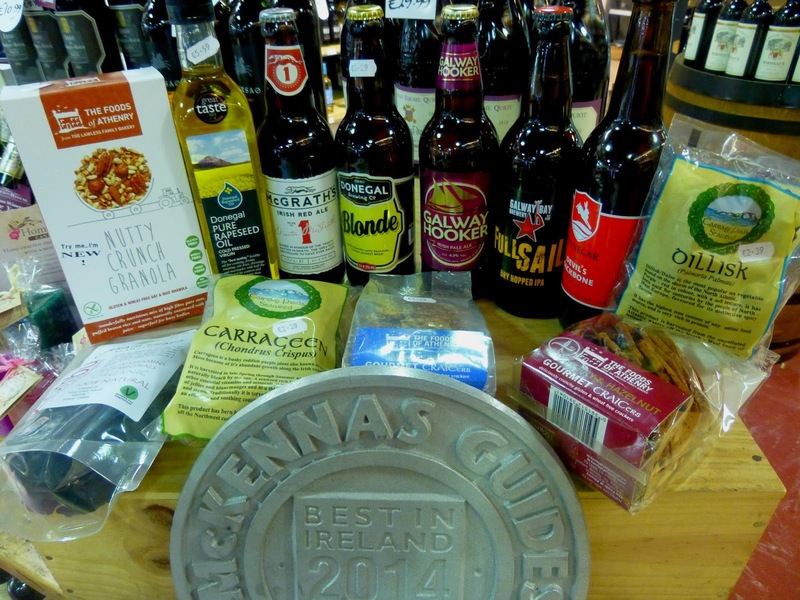 No shortage of beers in the North West selection with an explosion of brewers in Galway, Roscommon and Donegal. 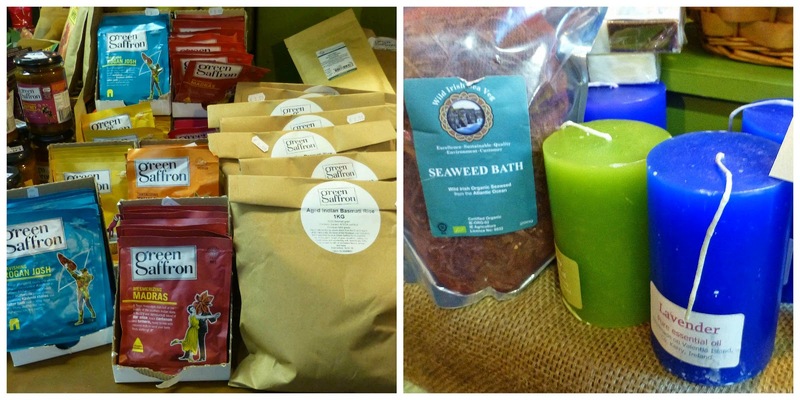 The Foods of Athenry are well represented with their granolas and crackers and no shortage of seaweed products by Carraig Fhada. And, of course, that well known Donegal Rapeseed oil. Quite a selection, I’m sure you'll agree. But there is much more in the shop, so do drop in and have a look. Thirsty now after all that but what beer will I have? Such a choice!